High quality brown camouflage dive vest from Divein. Made from 3mm neoprene with an open-cell interior and Camoflex exterior lining. 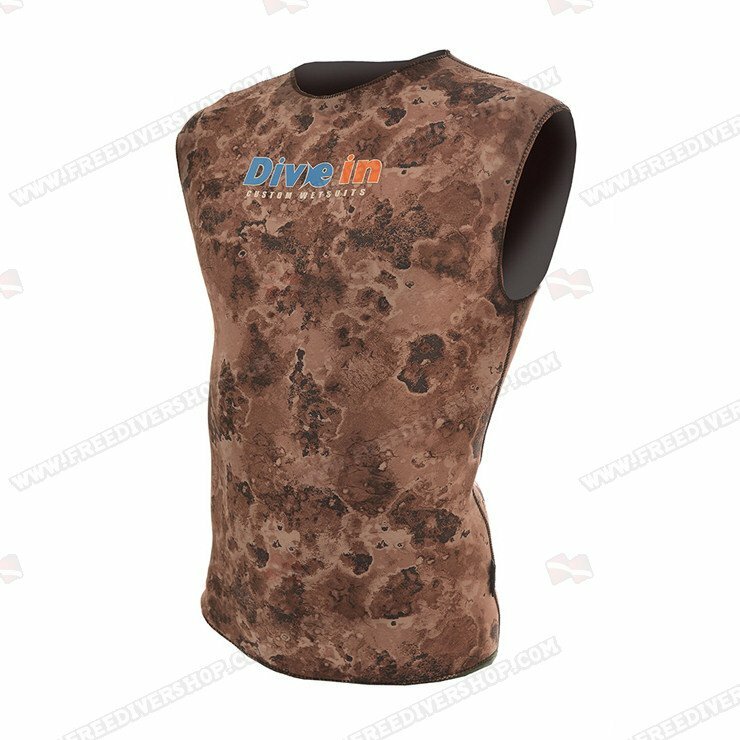 High quality brown camouflage dive vest from Divein.